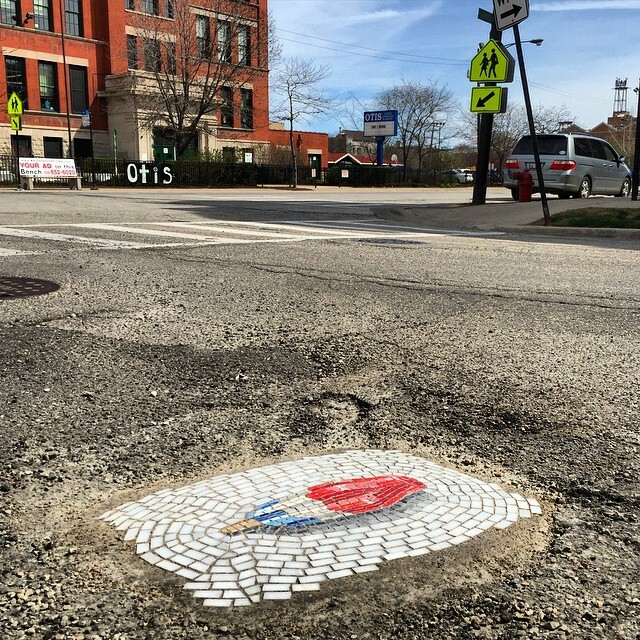 The pothole is the eternal enemy of tires and suspension systems. 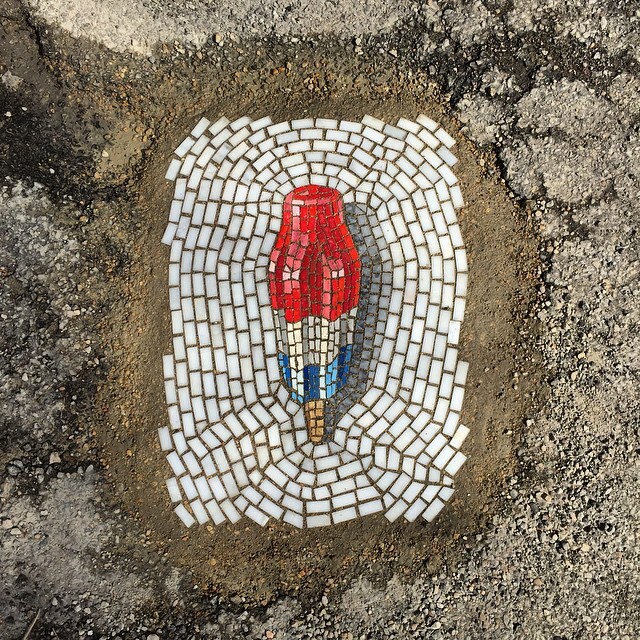 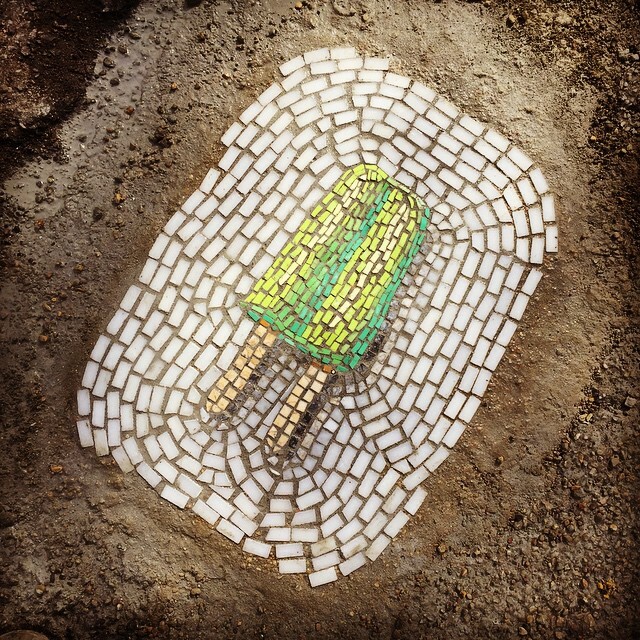 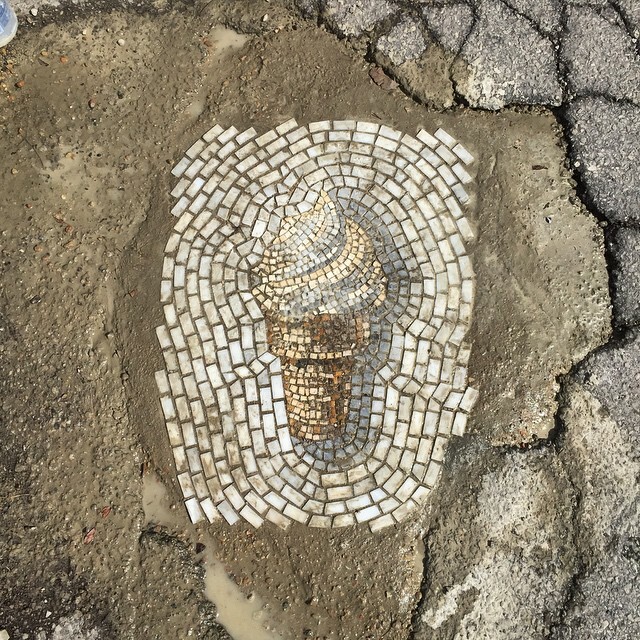 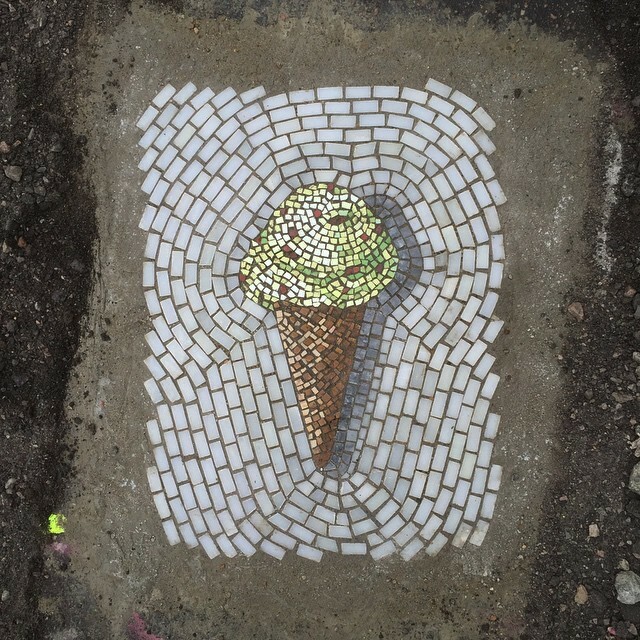 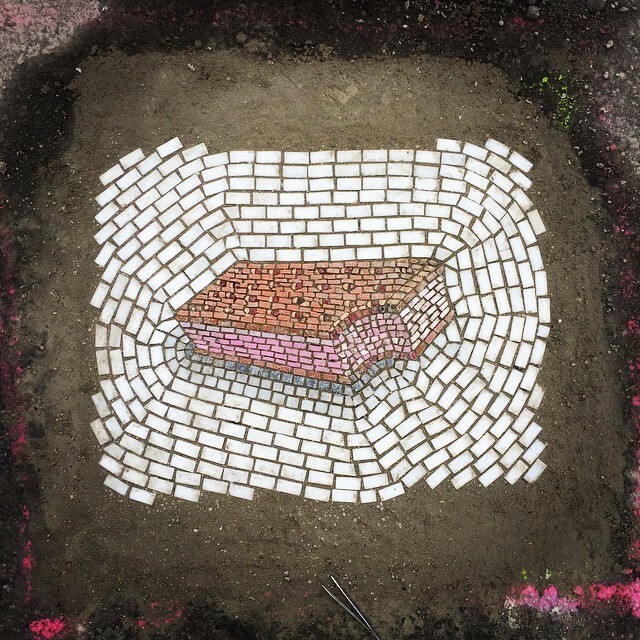 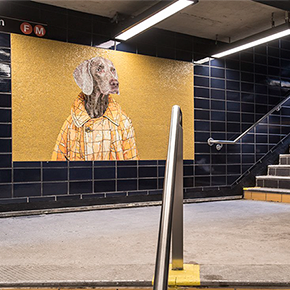 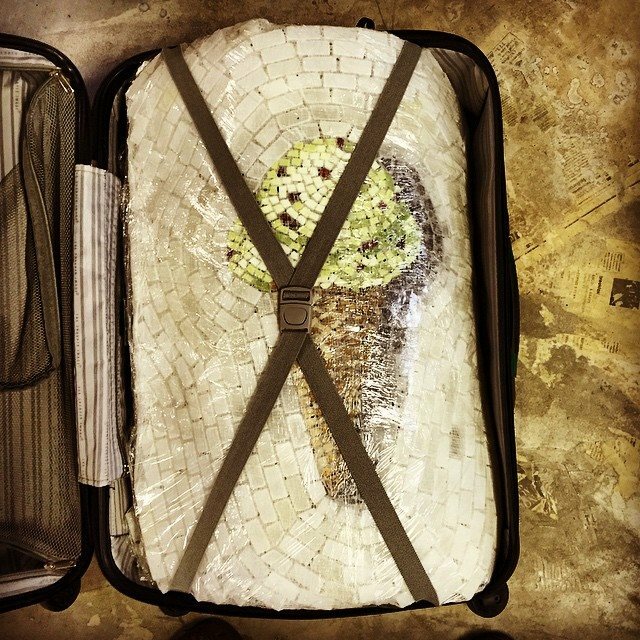 And mosaic enthusiast Jim Bachor is fighting back – with mosaics of tasty ice-cream. 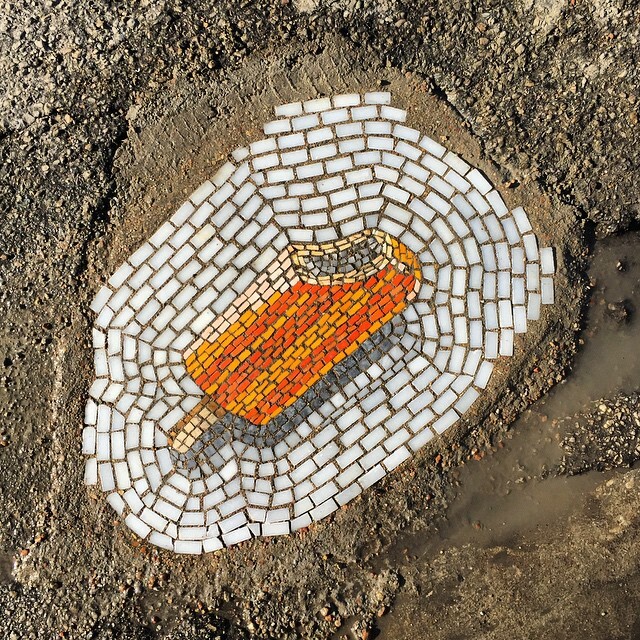 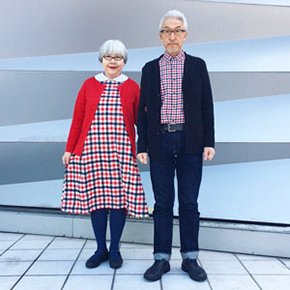 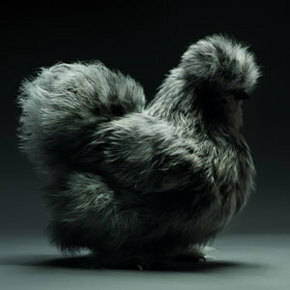 The new project is called “Treats in the Streets”, and it’s also happening in Finland. 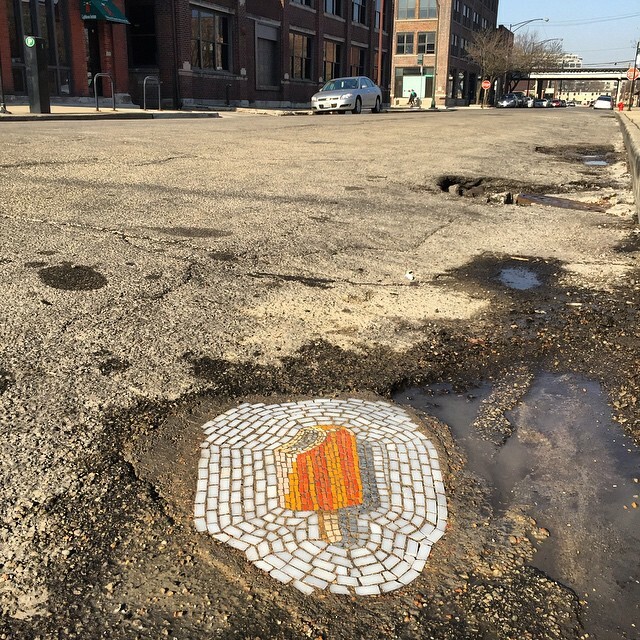 While his previous efforts to combat potholes were limited to Chicago, this one has a much more global reach. 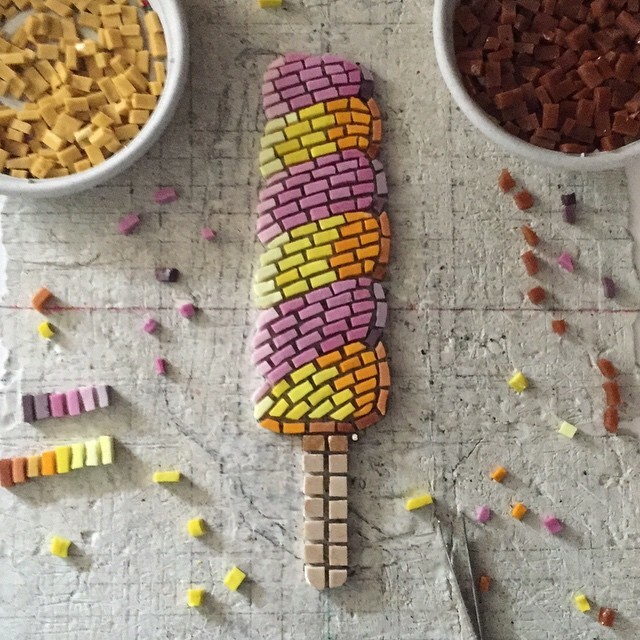 The artist doesn’t discriminate and presents a wide variety of cool treats. 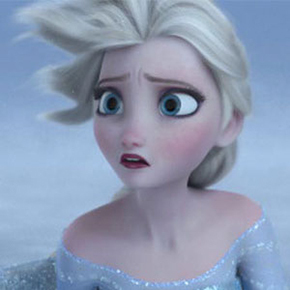 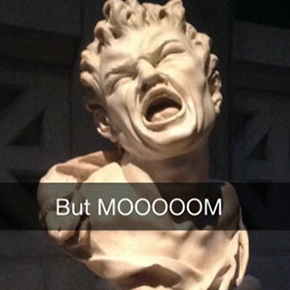 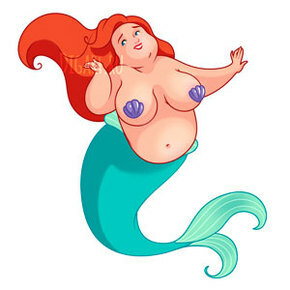 And since it’s Finland, they’re in no danger of melting! 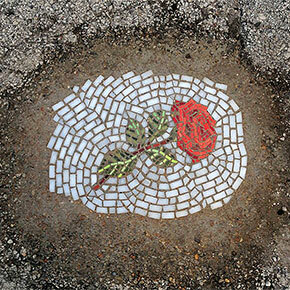 Bachor’s more flowery attempt at pothole repair can be seen here.